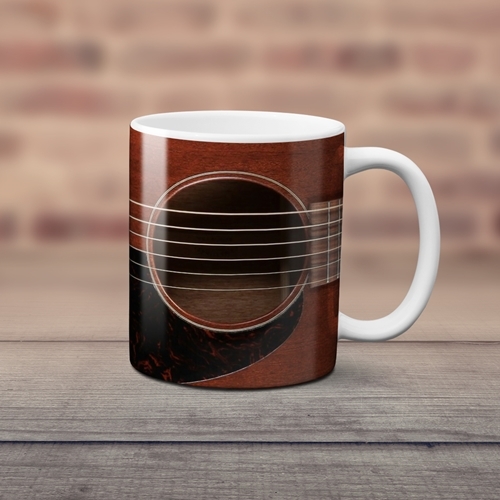 The original Acoustic Guitar Coffee Mug can only be found through Bluescentric! Dishwasher and microwave safe! The design wraps almost all the way to the handle. Guitar hole is on the right side, the bridge is on the left of this premium 11 ounce Bluescentric Brand ceramic music coffee mug.